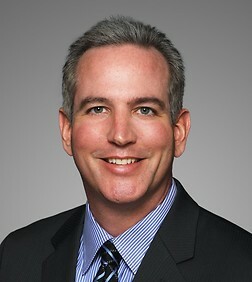 Michael Chilleen is a partner in the Business Trial Practice Group in the firm's Orange County office. Michael specializes in class action defense and disability access discrimination claims under both the Americans With Disabilities Act and California state accessibility standards. His experience includes representing Starbucks, Ralphs, Food 4 Less, Taco Bell, Home Depot, KFC, The Irvine Company, the City of Riverside, Covenant Care, Little Caesar’s Pizza, Live Nation, Regal Entertainment Group, Regency Theatres, Dollar Tree, Michaels/Aaron Brothers Craft Stores, Adir/La Curacao Stores, In-N-Out Burgers, and Auto Club of Southern California, with respect to disability access claims. Michael has extensive trial experience, having tried over 30 cases to verdict, including several class actions. He has defended statewide class actions against Caltrans, Starbucks, Ralphs Grocery Stores, Adir/La Curacao Store, Sport Chalet, Regency Theatres, Auto Club of Southern California, Taco Bell, The Irvine Company, and Dollar Tree. Michael’s practice focuses not only on all aspects of litigation, but includes consulting on disability access issues to prevent lawsuits, advising on landlord/tenant disputes regarding responsibility for common areas, implementing policies and procedures to train employees about accessibility laws, and interacting with state agencies to facilitate hardship waivers for accessibility remediations. Michael’s experience also includes significant appellate work, including landmark Ninth Circuit decisions on disability access issues, such as Oliver v. Ralphs Grocery Stores and Lonberg v. City of Riverside.